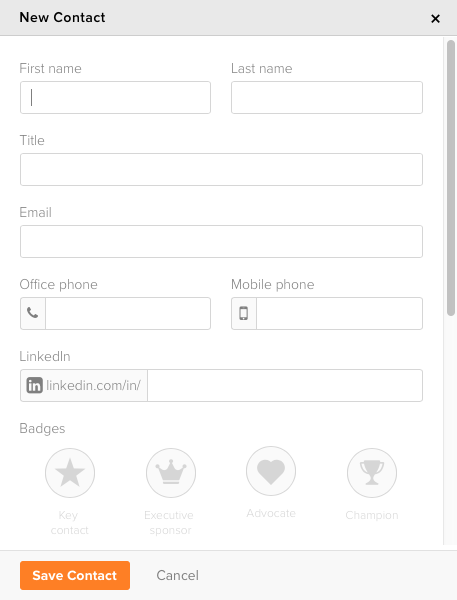 Several options exist for adding contacts to ClientSuccess. Each can be used individually or in-combination. 1. Pull up a client record. 2. Click the '+' button in the upper-righthand corner of the Contacts module. 3. Enter your contact's information into the window that appears. 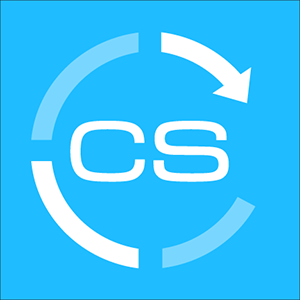 We are happy to import a CSV file for you any time. Export your contacts from another platform, compose your own file, or use this template and then send it in via our in-app chat. Note the type and formatting field requirements in the tables below.